This week’s module on reflective practice is serendipitous as I suddenly find myself at a crossroads. I am worried about the future, about making the right choices and moving forward without regret. Many baby steps toward change sometimes lead to a precipice. Clinging to the familiar leads nowhere but taking the plunge can feel overwhelming. In the description for this module on reflective practice, Dr. Stephens writes about finding balance and making the right decisions. He talks about reflecting on why we came to librarianship and how we can better serve our communities by being our best selves (2018). So, for just a few moments, instead of staring into an unknown future, I will reflect. I came to librarianship as a means of using my skills as a music teacher to affect a broader community. I love to help people discover new skills, abilities, pathways, and knowledge. I like to teach people how to learn. I also love to make things, write things, and play with things. I like collaborating and I like being a learner. In 2015, I enrolled in the MLIS program at San Jose, just to dabble and see what librarianship was all about. That first class nearly did me in but, for some reason, I kept going. I had two-year-old twins and a seven-year-old so I plodded along taking one class per semester, working as a musician, and volunteering in the library world. In 2017, I got my first paid (barely) library job as an assistant in a K-12 school library. In 2018, a week after the Hyperlinked Library class began, I found myself as interim librarian for that school, filling in for several months. In November, I began working in my first public library role as a reference librarian. By this time next year, I hope to have my degree. So, in four years, there’s been a lot of change. And now there is a more monumental decision to be made. For many practical reasons, my family is considering moving from our beloved 20-year home in the Bay Area back to Chicago. We want to care for our ageing parents and there’s the hope of a much more affordable mortgage, which means our kids might go to college. We would even be able to travel (the only place we ever go right now is Chicago). As my husband pointed out, I’m transitioning anyway. Why not add Chicago libraries to my endless application process? While I have put a great deal of energy into networking here in the Bay Area, I feel that the next step might be to find a way to connect with librarians in Chicago. In his lecture for this module, Dr. Stephens quoted Casey Ceb who noted, “some of our closest friends and most significant professional connections are people we’ve only ever met on the Internet” (as quoted by Stephens, 2018). In the spirit of the Hyperlinked Library, I have a feeling that forging new connections may shed light on my decision. I have never participated in a profession that is as universally connected as librarianship. This course has introduced us to inspiring, participatory library practices all over the world. This gives me hope that, despite the weather in Chicago, I may find fulfillment in doing what I love. As for reflection: when the forward motion feels particularly overwhelming, reflection particularly through writing, helps ground the momentum. It can validate our experience and organize the chaos that accompanies possibility. PS. If anyone has ideas about making library connections in Chicago, especially the North shore, I’d be most grateful. PSS. I do love Lake Michigan. This is me at my new public library job. I took this picture of my family in Chicago last summer. I took a bit of creative license and incorporated my favorite finds from the Hyperlinked Library course into an institute proposal. The Association of Children’s Librarians of Northern California is an organization I joined during my first year of library school. The group is comprised of about 300 youth services librarians and MLIS students and is dedicated to life-long learning and providing the best possible service to young patrons. Our annual one-day institute takes place at the San Francisco Public Library and each year we focus on an aspect of providing service to the communities we serve. Topics usually center on social justice with a focus on marginalized groups. For this hypothetical proposal, I wanted to focus on the librarians’ well-being as much as on the product of their efforts. To inspire, energize, and reboot the hardworking children’s librarians of Northern California through an institute focused on participatory youth services that engage and transform. This brief is a topic proposal and outline for the 2020 annual institute for the Association of Children’s Librarians of Northern California (ACL). The institute will address the challenges youth service librarians and staff face in a world that is constantly changing. We will focus on participatory library service, a model of librarianship that keeps pace with rapid change by engaging patrons in creative and collaborative processes that inform and empower every aspect of library service. I love LEGO. I love the history of the LEGO company, I love their product, and I love their vision. Amos Blanton summed up their philosophy in What do we Mean by Learning Through Play? (Lego Foundation, 2016). To paraphrase, when people are engaged in creating something new that reflects their own experience, knowledge, and interests, it makes the learning more powerful. I think this philosophy directly applies to the future success and relevance of libraries. When people play, they learn. And learning is a rush. It is delightful and playful and memorable. An environment that both promotes curiosity and evokes a sense of personal connection will energize patrons to participate. And this participation breathes ongoing life into a library. For school libraries, engaging students means offering choices and designing project-based learning experiences that are playful. In other words, offer something for everyone and make the work irresistibly fun. A challenging example is the teaching of research skills, a task that often gives the school librarian a bad name. This year I tried something new: The Dream Library Design project. The fifth graders worked as teams to brainstorm, design, and present their concept of a Dream Library. The only instructions were that no one’s idea could be rejected and presentations involved a Google Slideshow. Brainstorming was outlandish, collaboration was messy, and students enthusiastically poured their hearts into this project. They found images on the Internet, built idea boards using Google docs, designed spaces on MineCraft, and created totally unique models and drawings. As Joshua Block notes, “learning is a messy process — and authentic, project-based learning immerses us in unique parts of this mess” (2014). The word “authentic” is meaningful because the Dream Library Design offered students a chance to practice a process that is realistic to their future. As Lippincott states, “Active learning and learning as a social process converge well with an increasing emphasis on the need for students to develop collaborative skills and the ability to communicate effectively and professionally in various media” (2015). The library also benefits from offering social, play-based projects. First of all, such programs attract a wider patron base to the library because they offer an entry point for every type of learner. This sends a message that every student has a place in the library. Some find sanctuary in quiet corners, while others learn and thrive in a social, collaborative environment. Many students are empowered by the choices such projects offer. They get to choose from a variety of mediums and digital tools that reflect their diverse talents and interests. In this way, the school library becomes a hub of activity – a Learning Commons (Vangelova, 2014). A second benefit for the library is the input generated from participatory, play-based projects. Simply observing students’ process provides a goldmine of information about how they learn, what they want, where they’re going, and how the library can participate now and in the future. Since I have been sharing the progress of The Dream Library Design project, I thought this would be a good point to share bits of the final presentations, which students shared in library class last week. The following slides, borrowed from students’ presentations, reflect the scope of their imagination and convey the way they want libraries to feel. I have been thinking a lot about how a The Dream Library Design project might play out in a public library. I picture this as a family program, maybe even a contest. During a regular family programming time, families would be challenged to plan their dream library, or perhaps one feature of a dream library. They would have access to building materials, both physical and digital. The room could be filled with art supplies, photo and video equipment, green screens, computers equipped with basic design software (and MineCraft :), and a couple staff members or volunteers knowledgeable about the technology. If possible, library administrators could attend. At the end of the program, invite each family to describe their creations and follow up with some sort of reflection – maybe video interviews – that could be archived and available. I promise the enthusiasm and energy will be infectious and the library will glow with life from its community. Block, J. (2014). Embracing messy learning. Dream Library Design. (2018). Slides used by student permission. Lego Foundation. (2016). What do we Mean by Learning Through Play? Lippincott, J. (2015). The Future for Teaching and Learning. Vangelova, L. (2014). What does the next-generation school library look like? This week I got to visit two amazing exhibits – one at the New York Public Library, the other at the National Women’s History Museum – both during my lunch breaks at work. Thanks to mobile technology, museum lovers no longer need to travel, buy tickets, wait in line, deal with crowds, or go on vacation to immerse ourselves in rare and fabulous collections. By moving beyond place-based collections, libraries and museums are able to reach users where they are exploring (Stephens, 2015). After all, as Stephens notes, the most unique thing in a collection is what you put in people’s hands (2018). In 2011, The New York Public Library debuted Biblion, an app designed by and for the library in which users can virtually visit an exhibition of the 1939-40 World Fair. Biblion provides an “info-scape” in which users can explore a compilation of articles, galleries, and essays compiled by curators and scholars (Jenkins, 2011). It’s a bit like a Lib-guide but has a spatial aspect that allows stories to unfold and encourages deep exploration on a personal level. “Biblion is based on the premise that once original sources are given shape, infinite narratives emerge. We’ve referred to it as a multilinear reading experience, one in which you can jump from story to story, stack to stack, through multiple combinations of media” (Jenkins, 2011). As Madrigal (2011) noted, “what’s fascinating to me is that you don’t feel like you’re reading something about the fair, but experiencing what it’s like to tool around behind the scenes at a museum or in an archive. The impression is spatial. You chart your own path, find pieces of text, photos or video, and then assemble them yourself into a narrative of the fair”. I’m not sure why NYPL chose the World Fair as their Biblion premier but the Fair’s motto “Enter the world of tomorrow” rings true. Interestingly, Biblion’s second exhibition Frankenstein: The Aftermath of Shelley’s Circle explores the progressive and innovative ideas of some of history’s most forward-thinking literary figures. The National Women’s History Museum was founded in 1996 and is packed with exhibits about women’s role in U.S. history. The cool thing about this museum is that it is exclusively online. Fingers crossed, legislation will soon pass to build a physical space on the National Mall. The lack of a brick and mortar space has not prevented the National Women’s History Museum from reaching millions of visitors, however. With free online access to articles, resources, and exhibits, the museum lives up to its vision by breaking down barriers to information and expanding its reach: “We envision a world where women’s history inspires all people to have equal respect for everyone’s experiences and accomplishments and to see there are no obstacles to achieving their dreams”(NWHM). One of my favorite escapes is visiting a museum by myself. Moving through exhibits on my own path at my own pace leaves me feeling rejuvenated and inspired. I haven’t visited a physical museum in months. Limits on my time, location, and funds have stood in the way. When I do get to a museum, my three children have their own demands, which further limits my personal connection with the exhibits. Visiting these virtual museums during a brief lull at work actually left me feeling inspired and intellectually satisfied, very much like visiting a physical museum on my own. But the most innovative aspect is that virtual libraries and museums make information free and accessible, which means more people can experience history, science, and the world, regardless of the barriers of the past. My work as a K-8 school librarian has convinced me of two facts. First, everyone learns differently. Two, there are many uses for a library. If we don’t honor both facts, we will only serve a fraction of our students. According to Sir Ken Robinson (2010), education can and should be personalized to the people we are teaching. Education that is built on conformity dislocates people from their natural talents, leading to disenchantment and ultimately depleting our future society of the variety of skills needed to thrive. Rather than conform to the traditional school library model (room full of books), the school library can be an exciting, revolutionary source of activity that supports and drives innovation. According to Loertscher, what is needed to reach into classrooms and get kids’ attention is a total flip in perspective. Rather than maintaining a room full of books, the library can function as a learning commons that is both virtual and physical where the entire school community can come together to create, inspire, share, and showcase (2008). The goal, in other words, is to create and curate a participatory library. Excited to test this participatory library model in my school, I launched the Library Dream Design, a multi-week, project-based exploration for fifth grade. After a brief introduction in which I presented innovative library designs from around the world (many of which involved teen input), the students formed teams and began brainstorming. They came up with outlandish ideas like marshmallow reading rooms, books delivered by drones, and pet libraries. Next, the teams created an Idea Board – a Google doc where they could gather representations and support for their ideas. Anything sourced online was documented or they could make their own representations. Some designed in MineCraft, others drew blueprints on paper, and one team created a marshmallow model. The final step was to compile all their ideas into a Google slideshow, which they presented to the rest of the class (the hypothetical funders). The project was a huge success on many levels, not least of which because it was very fun. The most important aspect for me was that this activity engaged library lovers and non-users equally. Students who appeared bored during regular library programming and rarely used the library outside of class were fired up to share their ideas. Students who were normally disengaged showed great leadership. By inviting them to build on their diverse and natural talents, we created a setting where everyone could thrive. The exhilarance of the Dream Library Design project inspired me to explore more ways to actively engage students in our school library. I have been a long-time fan of podcasts and have recently read some exciting articles about creating podcast programs in libraries. With this Emerging Technology Plan, I will outline a project-based lesson plan, which can be set into motion as a mult-week Podcasting unit. Podcasts can serve many purposes in a school library. First of all, podcasts can be a valuable source of information for research and personal interest. Recently the fourth grade teacher asked me to build a libguide of social studies resources. She specifically asked for video and audio sources for students who interact better with these formats than traditional text. Podcasts, which appeal to multiple literacies, can be a powerful information source for students who might otherwise lose confidence due to reading differences. Second, learning to make podcasts offers an opportunity to explore technology and information gathering in a creative, social way. Third, podcasts can be shared by and archived in the library via our website and social media, creating a student-generated collection and a direct link to our community. Fourth, project-based experiences provide insight into the interests and personalities of our student patrons, allowing us to better meet their needs. Finally, a podcasting program gives the library an outlet to connect with the rest of our school community. Interested teachers can be involved in the project by offering their time, expertise, or resources. The project gives the library visibility in the school and draws the school community in. The enthusiasm buzzing around a project like this is infectious. Introduce podcasts as an inspiring and legitimate format for research and entertainment. Engage the diverse and natural talents of fifth grade students to build a thriving program. Build visibility of the library and generate buy-in from the school community. Instill confidence and build project skills for soon-to-be middle schoolers. Create a community-generated podcast collection. Achieve a deeper understanding of patron interests and personalities in order to grow a responsive, participatory library. Present the school library as a hive of innovation and activity that everyone wants to be a part of. The Podcasting unit will be designed for fifth grade students. During their last year in elementary school, fifth graders are honing the research and project skills they will need in middle school and beyond. As instructors, one goal is to empower students to become independent thinkers and to have the confidence and direction to self-motivate. Project-based experiences like creating podcasts offer a platform to practice these skills in a creative, active setting. As tweens, fifth graders are beginning to think about what is possible, so activities that encourage exploration and discovery support their burgeoning enthusiasm. Furthermore, tweens’ prefered method of information seeking is social with face-to-face interactions at the top of the list. The Podcasting unit is designed to support social interaction by working on teams, conducting interviews, and working closely with the librarians. Tweens are more likely to seek help from adults when they are engaged in something that excites and interests them, rather than a forced topic that has been assigned. The staff is made up of dedicated, open-minded teachers and specialists who enjoy collaborating. The school encourages project-based learning experiences and curates independent thinking from an early age. This is an ideal setting to try new programs, especially ones that support classroom learning. 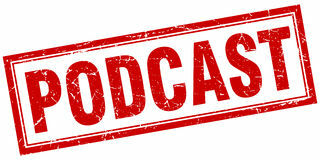 Convince students that by making podcasts they will have fun, gain skills, and make connections, which will make the library a positive place because they will have a voice. Convince the school community that the library is an innovative hub of activity that reinforces and supports classroom learning through project-based experiences that allow every student to thrive. Convince fellow school librarians that making podcasts is a way to reach out to our community and better understand the interests and personalities of our patrons so we can grow a responsive, participatory program. Friedman, L. (2009). Sound Unwound. Public Services Quarterly, 5(3), 212-216. The following excerpt describes the school’s goals and philosophy for its library and technology programs. Librarians design project-based instructional experiences that promote curiosity and encourage collaboration. By engaging the diverse and natural talents of our students, we ensure they make a meaningful and personal connection with the resources that best fit their information needs. Assessing the outcomes of these participatory projects allows librarians to curate a user-focus library program that is responsive and engaging. The above paragraph, which I was asked to draft for the school’s accreditation document, is based on principles of the participatory library combined with revolutionary ideas of education. In his blog post The Hyperlinked School Library, Michael Stephens writes that technology is not longer an extra in education (2010). Young people integrate technology into their lives as seamlessly as we adults once used No. 2 pencils. Technology formats like podcasts are the modern tools for interacting with and understanding the material taught in school. More importantly, creative technology like podcasts allow students to deeply explore subjects on their own terms, rather than conform to traditionally rigid means of instruction (Robinson, 2010). The students are the driving force behind the content, production, and promotion (ALA, 2008), which adds meaning and value to the experience. As Stephens points out, there are six characteristics that are key to a successful learning experience: curiosity; exploration; transparency and openness; creativity; flexibility; and play (2010). Podcasting meets all these criteria. The podcasting project will require no additional funding from students or the school. The school provides each fifth grader with a Chrome Book, which can be used to access all technology needed for this project including the library website, Google docs, Google classroom, and iMovie. Staff is invited to opt in as interview subjects, which will require donated time. The Podcasting project will unfold as a unit that takes place during the forty-minute weekly library class. Prepare: Build a cache of podcasts for students to peruse. Linda Rodger’s article Time for Podcasts offers a great list to start with. Post the list on Google Classroom or, better yet, make the links available on your library website. My school uses LibGuides to build web-based guides. They are flexible and always available to students. You can include suggestions for podcatchers like Sticher or iTunes. Participatory: Collaborate with classroom teachers by finding out what topics students need sources for (King, 2018). Include podcasts that support classroom projects. This helps erase the walls of the library and contributes to the concept of library as hub of information and innovation. In class: Introduce students to the concept of podcasting. Show the guide you created and explain that many podcasts can be used as a source for research and school projects as well as entertainment. “Book talk” great podcasts. Participatory: Invite students to recommend their favorite podcasts and add them to the cache. Engagement: Give students time to explore the cache of podcasts. Some students will find a quiet spot to themselves while others will prefer to explore the podcasts in groups. Prepare: Determine a series topic. This could be highlighting projects students are doing in science; family history; exploring the neighborhood of the school. For the sake of this plan, the topic will be Stories from the School Community and the format will be interviews. Add examples to your LibGuide or website so students will have examples. You may also wish to add some resources on conducting good interviews. Storycorps offers a great toolkit including resources like Great Questions for interviews. Create a blanket policy that anyone who participates in the program agrees to share their picture, voice, etc. Notify parents that their students’ contributions may be shared and provide an opt-out form for those who don’t wish for their child to participate (Rodgers, 2018). In many cases, the school has already covered this. Participatory: Link the podcasting topic with the school community, creating an outreach element. It could relate to a unit students are studying in social studies or could be a mission to learn more about staff members other than teachers (maintenance crew members, nurses, aides, language specialists, etc.). Participatory: Ahead of time, ask staff to opt in to the project by volunteering to be interview subjects. If interview subjects are available during library class time, this gives them an opportunity to directly participate in the library, which will hopefully lead to inspiration and future collaboration. In class: Introduce the podcast-making project. Explain the timeline, topic, and procedure. Present a couple episodes of Story Corps as an example of the Stories from the School Community topic and provide some information about interviewing. Divide the class into teams. Ask each student to choose a member of the school community from the list of interview subjects. Give students class time to write interview questions and plan. They can work collaboratively via Google docs, which can also be submitted to you on Google Classroom. Students will email their interview subject to set up a time for the interview. Ideally, the time will be during library class hours but fifth graders do have opportunities throughout the school day to pursue independent projects. Prepare: Add an iMovie tutorial to the project page or LibGuide. This YouTube video is geared toward students and explains how to make a podcast using iMovie. In class: Invite the technology specialist to introduce iMovie to students and explain how they can use the software to make podcasts. Students will polish their interview questions and set up their recording software. They can practice interviews on one another. Engagement: Give students time to play with iMovie, record, edit, add music, just mess around. In my experience, 21st Century learners learn best by doing. Let them explore, socialize, share, and ask questions as needed. In class: If interview subjects are available during class time, students may use this time to conduct and record their interviews. If interviews were done outside of class time, students may begin to edit their podcasts. Prepare: Compile the podcasts and post on the library webpage. In class: Serve popcorn and premier the podcasts. Participatory: Invite interview subjects to attend the screening. The project will involve the library staff with assistance from the school technology specialist. Although the project can be curated by the librarian and assistant librarian during library class time, classroom and specialist teachers are encouraged to participate as interview subjects. They may do this during library class time or prep time. Some may choose to incorporate the project into their classroom curriculum. For example, a podcast series could coincide with units on biographies, historical events, science concepts, or social change makers. As part of their studies, students could produce a podcast on one aspect of the topic, then we would compile the podcasts into a series produced and shared via the library. In this way, the experience is documented in a way that can be shared with future students. Collaborating with classroom teachers adds support for the project, creates staff buy-in for the library, and increases the relevance of the experience. Fifth graders will receive training on the interview process and recording and editing techniques. Training for technology like podcasting is free and easy with resources and toolkits produced by fellow librarians and producers. In the case of my school, I gained a lot of insight from our technology specialist, who had already experimented with podcasting. He suggested tools and tricks. As noted above, buy-in from classroom teachers will solidify the relevance of the project and help take it to the next level. Reach out to teachers and find out where they could use support, then make that the topic for the podcast series. For example, the fifth graders study memoirs. Students can share stories from their own life or collect stories from others to build a Memoir podcast series. Connecting library activities to classroom curriculum supports teachers, creates awareness of the library as an integrative hub, and promotes the project beyond the walls of the library. Once the podcasts have been created, the series can be shared on the classroom webpages as well as archived on the library website. The library also has Facebook and Twitter accounts, which can be used to promote the project. I like the question, “What stories are you envisioning telling about this”. Stories are built into the fabric of podcasting. By giving students the opportunity to pursue their interests, choose their subjects, and write their own questions, librarians get a rare glimpse inside their diverse realities. Seeing projects like podcasting unfold allows us to understand our patrons’ needs, interests, and personalities in a deeper way then simply asking them to fill out a questionnaire. For those who choose not to engage in the library in a traditional way, projects that reach out and enchant them on a different level invites participation. When we offer choices, we will always be surprised. Does the project promote the library as a hub of innovation and collaboration that entices the school community to collaborate? Does podcasting invite students to use their diverse and natural talents in a project-based experience? Does podcasting help librarians better understand the needs and interests of students? Does podcasting produce community-generated content for the library collection? Did students have fun and do they want more? The following graphic was designed by the American Association of School Librarians. The words “shared foundations” and “domains” are explained through a lengthy and somewhat elusive document but the graphic alone evokes meaning for me. I see the outer circle as the library and the inner circle as the patron experience. I disregard the center because I feel obsessing over standardized competencies distracts from the humanization of the library. The words presented in the outer two circles create a mantra for envisioning an ever-expanding, participatory library. Podcasting is a flexible technology trend that can grow with the library. It actually allows the library to expand beyond the walls – librarians can collaborate with teachers to document instructional experiences and student work. Individual projects can be archived or an ongoing series can be created and maintained as part of a library program. Just as the llibrary runs the fourth and fifth grade book club, it could sponsor a podcasting club. Ideally this would operate in conjunction with another staff member or department. Emerging technology like podcasting is an opportunity for the library to evolve into an innovative school hub that is central to experiential learning and invites participation from every student.